How to restore a previous version of the address book or calendar? 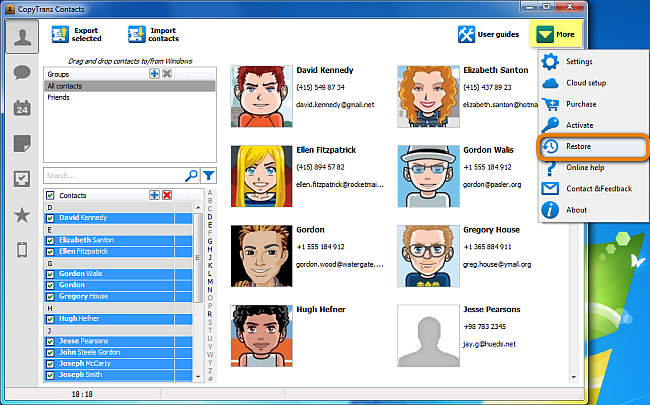 Home » How to restore a previous version of the address book or calendar? 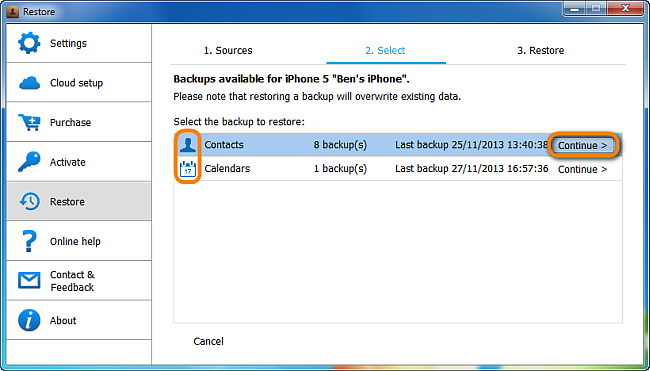 This quick guide shows how to restore iPhone contacts or calendars from a backup created by CopyTrans Contacts. If you accidentally delete one or more of your iPhone contacts or calendar events, or make unintended changes, you can always restore the address book and/or calendars thanks to CopyTrans Contacts. Select the source to restore from. 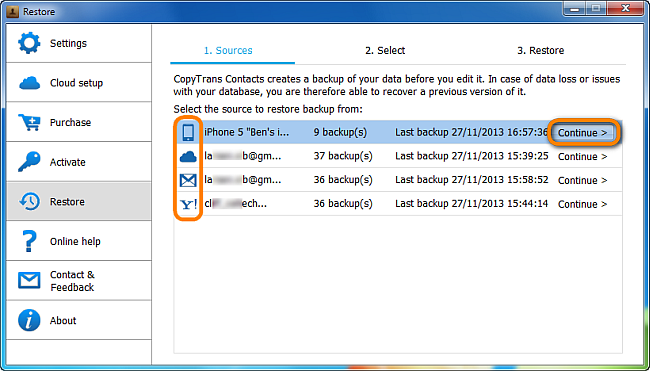 Depending on where the contacts or calendars are located, CopyTrans Contacts periodically creates a snapshot of the iPhone, iCloud, Google or Yahoo address book and calendars. 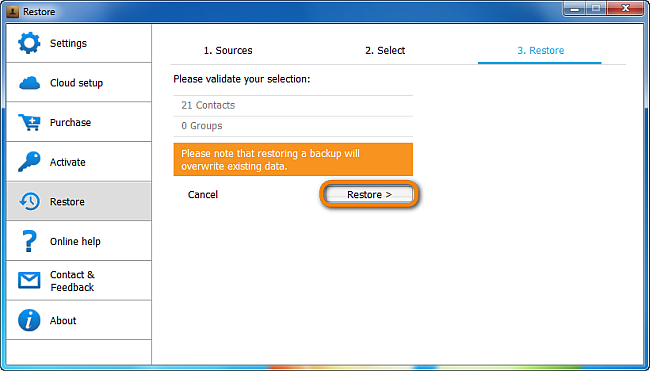 Choose the type of backup to restore from (i.e. contacts or calendars). Note: In this example we reverted to a previous local iPhone address book which contained 21 contacts and 0 contact groups. 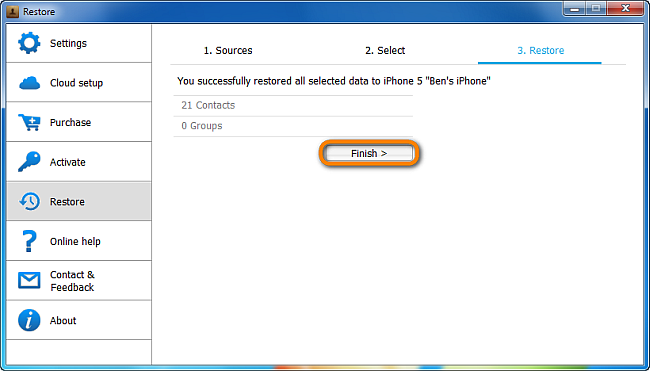 Once the contacts or calendars are restored, click “Finish”.